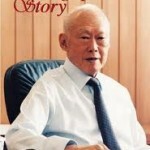 Singapore is holding their general election where the present ruling party has been dominating politics in this tiny state since 1965, when it got its independence. Decision by opposition to hold closely together and the use of social media has made it very competitive. The dominating issue of discussion in this election is the economy. Singapore is now indeed a first world country in a third world setting where it is considered the wealthiest, the cleanest and the safest country in the region or if not the whole world. 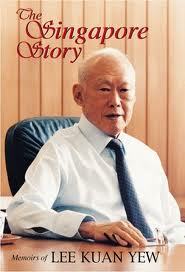 Compliments to the Singapore’s patriarch Lee Kwan Yew that has made Singapore of what it is today. People’s Action Party, which has ruled since independence, is facing a tougher test in this election than ever before. They will be facing a unified opposition this time which was once a traditionally fragmented opposition. They made a common strategy that is well coordinated which has allowed them to challenge almost every seat. It has opened non-traditional media like social networking which provides greater space for debate in a country where traditional platforms, tv, radio and newspapers, are strictly controlled. The rising cost of living, house prices and jobs are the main issues of the debate. The widening gap between the rich and the less well off; and the growing resentment towards foreign workers are among the issues to be tackled in the debate. The challenges facing the country are being discussed in this general election and hailed as the most exciting election ever for decades.